Velvet Lash is a luxurious eyelash extensions lounge serving Roswell and Alpharetta area. We only use the highest quality products and will deliver the best service by our professional Xtreme certified stylists that truly care about your eyes. We believe that eyelash extensions is not a one size fits all service. Instead, it should be tailored to your face, lifestyle, health of your lash, and personal preferences. 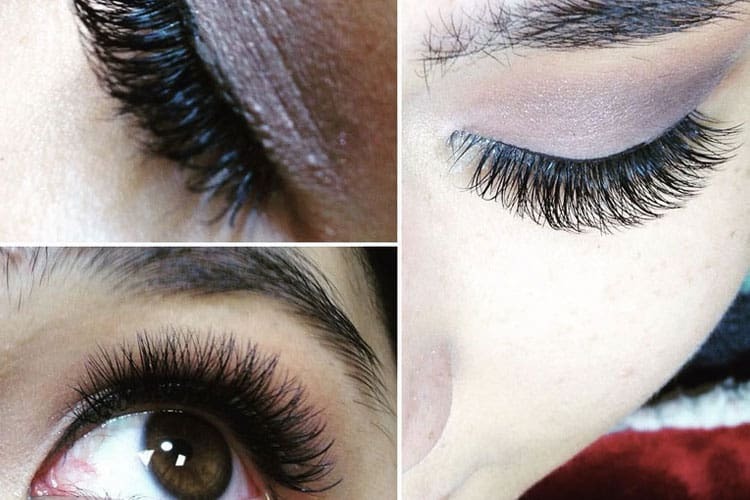 We promise that you will have a set of eyelash extensions that's "made just for you". Choosing your stylist as important choosing your lash extensions look. Before you're booking your appointment, get to know your stylist so you feel safe and confident. Vivian is a Xtreme certifited master stylist at Velvet Lash. She felt in love and obsessed with lashes since first day. She believe that lash extensions is not a one size fits all service but rather it should be tailored to your face, lifestyle, health, and personal preference. Mia is a master stylist with many years of experience and a diverse background. She first entered the beauty industry as a certified makeup artist in NYC, then found her passion and love for eyelash extensions. In the past, she worked with well-known celebrities. Jill has over 10+ experience as an esthetician and 4+ years experience as a certified lash stylist. She is an expert in Classic and Volume lash extensions. She's very friendly, passion about lash and a conversationist. She does not afraid trying something new. Mai has over 4 years professional lash stylist and expert in Classic and Volume lash extensions. She felt in love with last extensions since first day. Her friendly out-going personality makes her very likable. She's an amazing stylist and a mom. Tracie has an extensive background in lash extension for both Classic and Volume. She loves lash extensions and how natural and fuller it looks. When she's not doing lash, she loves hanging out with friends and love ones.